More than 90% of personal computers (PC) in the world operate on the Windows OS. That’s a billion PCs! With the shut down of support for the Windows Live Movie Maker though, there is a problem. Computer users out there are now left without a viable editing solution that plays really nice with the Windows OS. 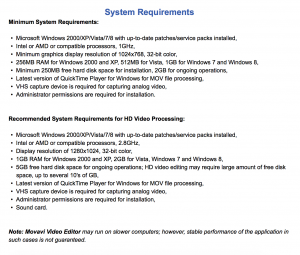 Windows may be better than Mac in some areas. But Mac is definitely superior when it comes to brute processing power. 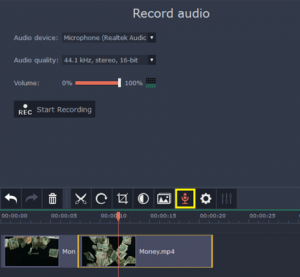 In short, not all editing apps can make the most of the conservative Windows Operating System. Add to it auxiliary considerations like ease of use and budget and you have only a handful of solutions which tick all the checkboxes. It’s time to meet the best of the lot. 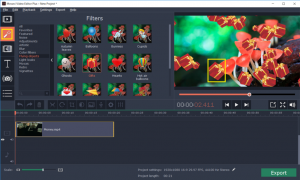 The absolute best Microsoft video editor available is, without doubt, the Movavi Video Editor. What Kind of Power Does it Take to Drive Movavi? Movavi is compatible with Windows 2000, XP and 7. It needs a measly 256 MB of RAM to weave magic on the Windows 2000 devices. If you have 2GB of hard disk space, you can rest assured that your editing requirements will be processed without glitches. 1. First and foremost, click the Movavi icon to launch the application. 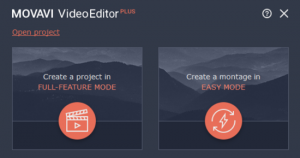 The opening modal lets you go the whole hog with the Full Feature Mode or make quick work of small tweaks with the Easy Mode for montages. For the purpose of this tutorial, we will go with the Full Feature Mode. These conveniences cut down the prep and processing time of your creations. 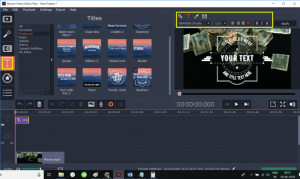 Use the scissor icon right above the timeline to position the orange editing grid rulers across the length of clips and split them into key sections. 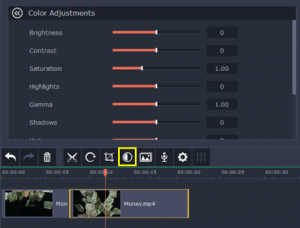 Use the colour wheel icon to adjust the brightness, saturation and contrast of the footage. 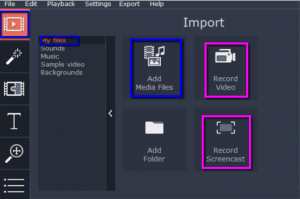 Use the microphone icon to directly overlay video files with your voice over. It is literally as easy as clicking the icon and using your built-in microphone or an external device to get the job done. 4. On to the fun part of the editing process. 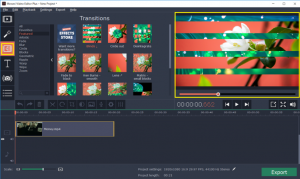 With Movavi, you can drag-and-drop special effects to chosen clips and evaluate their impact through the Preview window. Click the tab with the magic wand icon and explore a world of 12 categories of filters. Filters that add vignettes, retro effects or over the top flying animals. Multiple filters are often used together for sophisticated end results. Click the tab with the jigsaw puzzle icon to stitch together clips with the help of effective transitions. Again, there are 12 categories to stimulate your creativity. Do you want the bold geometric transitions or the quirky warps? Click the tab with the big “T” to access your text options. You can play with different styles of legends, customize the font type, size and colour or directly add Opening and Closing credits. 5. When you’re all done, simply click “Export” in the top navigation. 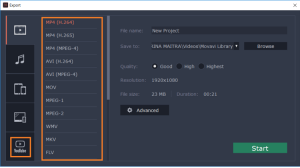 You can get the final file in dozens of video extensions. And you can also upload these videos directly to your YouTube channel. Are there any editing software solutions that can claim the mantle of the best Microsoft video editor by trumping Movavi?